•FPGA is field programmable gate array. 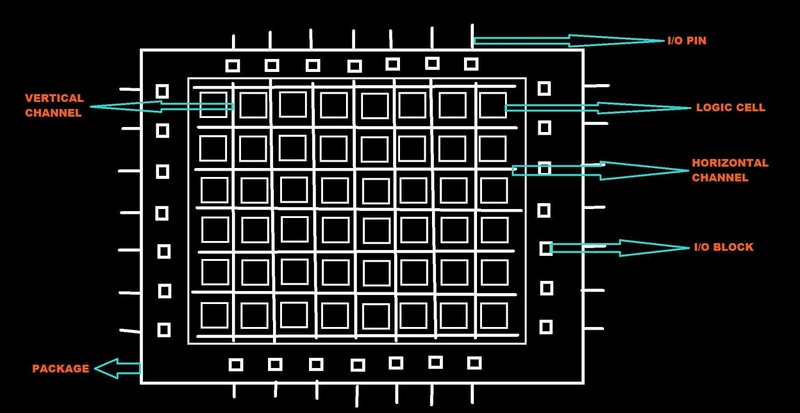 •FPGA are PLDs which are made from interconnected small macro cells. •It is made from logic cells. •Logic cells are connected each other by horizontal and vertical channel. •Each logical cell is having a complicated design. •These logic gates are made from NAND gates. •They are thousands in number. •You can make anything using FPGA like you can make it a microcontroller or you can make it digital signal processor or any thing. •FPGA consist of various I/o pins. •I/o pins connects the chip to the outside world. •All the logic gates are connected to each other via channel these channel are made from conducting metal. •The channels are matrix in shape. •With FPGA it is possible to integrate multiple storage registers, arithmetic and logic circuits, controllers etc. on the same device. •FPGA is a very flexible chip. •FPGA is a volatile device. •It clear everything when the power supply is removed. •FPGA have 84 to 256 pins. WHAT ARE FPGAs USES ? •FPGA is use for High Performance Computing. •FPGA is use for Digital Signal Processing (DSP). •FPGA is use for Phase-locked loops. •FPGA is use for Routers. •FPGA is use for Video & Image Processing. •FPGA is use for High-end RADARs. •FPGA is use for Speech recognition. •FPGA is use for ACSI prototyping. •FPGA is use for Bioinformatics. WHAT ARE FPGAs ADVANTAGES ? •Make anything like DSP or Microcontroller. 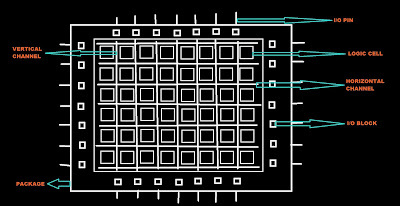 •FPGA are suitable choice for microprocessor. •Update feature from customer site. •Synthesis is easier than ASCI. WHAT ARE FPGAs DISADVANTAGES ? •Its cost is very high. •Not optimize for power consumption.